I'll once again be Pyramid Head..with some slight changes..I'll be "shirtless this year"
I'll update other info as people come in and i get ideas. Ah my goodness! I have a Heather cosplay I would love to wear with you. Or if you'd prefer I could make one from SH2/Other game, or a bubblehead nurse. Awesome! Since my cosplay plate is full already I think I'll just stick with my Heather costume since it's all fin. Just gotta make a flashlight. If anyone needs gore makeup done beforehand I'm pretty good at making gashes/cuts, bruises and the like. If you want to use latex/something I'd prefer if you bring some of your own supplies. BD I've got a limited amount. I'm in Grand Junction. I don't think I need help with my costume per say...I've been cosplaying PH for...4 years now lol. so I've got my blood and stuff down. but what i do need help with is a good photo shoot area. do you know anywhere? Maria here, with my baby sister as Angela or Mary. Oh and we're from Boulder. [QUOTE=Creative Genius;3808808]I'm in Grand Junction. I don't think I need help with my costume per say...I've been cosplaying PH for...4 years now lol. so I've got my blood and stuff down. but what i do need help with is a good photo shoot area. do you know anywhere? There are a few abandoned stairways that are very silent hill-esque in the hotel. Also in denver there are plenty of grungy alleyways. I'm pretty... creative... when it comes to photoshoots and I can help with that aspect. So far for sure we have Maria, Mary, and Angela from SH2, and possible additions of PH and a couple nurses from the NDK forum. Ah you're in Boulder?! I go to CU, don't live in Boulder but could easily meet up with ya sometime after classes. Also I agree with you on the Denver aspect of creepy stairways and alleyways. I can think of a few places offhand that might be pretty good for a photoshoot location. Awesome, wow this is turning out to be a great group! I feel sort of bad for only having a SH3 costume. I'll see if I can get my friend to come along as Vincent and maybe get some others to join in. Anyone got a photographer in mind yet? I can ask some friends to see if they'll be in town for NDK. I'm the PH in the NDK forums too...unless someone has posted in my thread and said they would be PH too...I dont pay much attention to the NDK forums....I barely pay attention to cosplay.com anymore too! ...also..that means the nurses in the ndk forums are most likely mine too. 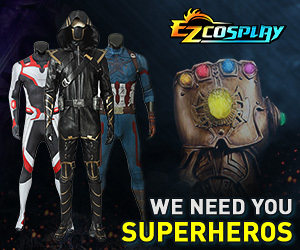 Yeah I've gotten way behind in keeping up with cosplay.com updates. Any of you have skype or another messaging program to keep in touch with? Otherwise I'll for sure be Heather. PH could get pictures with just about anyone methinks, especially the Maria or Mary or Angela mentioned by Chou. Hey guys I think I got us a photographer. Also I booked my hotel room and got my NDK pass, along with my compadres I am dragging along. How goes the plans? Also any of you have a facebook or better way to stay in touch/plan things?